Business is growing incredibly as never before. Many business ideas are evolving into the reality that has been buried under the hearts of entrepreneurs. The electronic platform opens a wide door for starting up new enterprises abruptly. 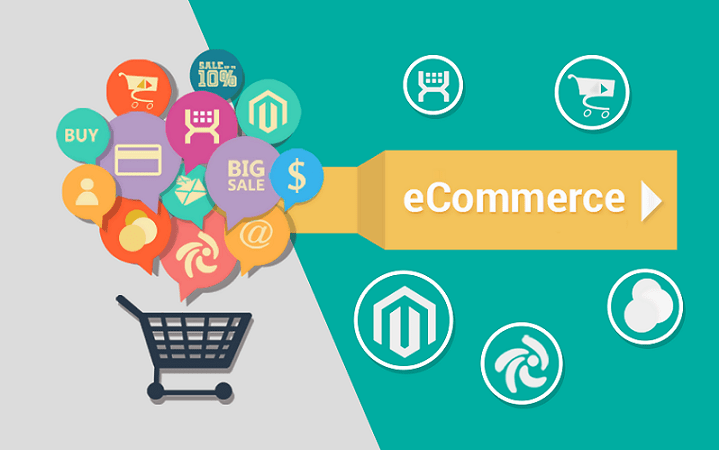 The revolutionizing growth of the business is visible ever since the advent of the e-commerce market. The incredible prospects and possibilities of business in the digital world help the market grow rapidly. The greater flexibility, amazing adaptability, and splendorous affordability to start a new business allured every business aspirants quickly. However, despite it has a large number of quirks we cannot ignore the challenges arisen along with it. As the platform offered a large audience and promised a decent business at an early age, innumerable shops are popped up on the market of the same kind. Hence, customers are spoiled for choices even. According to Statista, the worldwide e-commerce sales amounted to 2.3 trillion US dollars in 2017, and it is estimated to climb up to 4.88 trillion in 2021. Moreover, online shopping became a habit that anyone can practice from his or her living room. Here in this discourse let’s check how to stand out in this crowd and grow our business. Unless we create a new product that is not at all the same and available nowhere, we are also be considered as one of the sellers in the market. It is branding that defines our value and service special from others. Branding comprises of everything from the design of our website to the font of our contents. It incorporates our strategies and the liveliness of our service and the quality of the products we sell. Branding defines the way customers see our business, and it out shows the virtue of our business. As much as we can make an impact, that far we can expect business over the label of our brand. There is no business without products. Selling product or service is the primary purpose of our business. All the hardships and facelifts are trying out to grow our business nothing else. So, the importance of product is higher. Before headlong for the business, we have to give research about the product that we are supposed to sell. The demand, price, location, trend, age group, and sales percentage almost everything we have to check. Because there is no scope of sales for toys to adult person. So, pick the best product with deep research considering its demand and the age/gender group you target. Reliability is an imperative trial that every business required to upkeep. It is more of our reputation than a mere quirk. If customers feel insecure and some sort of uncertainty of their security on shopping on our websites they leave us forever. For that, an SSL certificate is the best choice. An URL with HTTPS is a stamp of trust these days. Plus, an SSL certificate will encrypt all the data transferred between browser to server and protect it from external intruders. As online transactions are an inevitable part of e-commerce, we have to mitigate the threat associated with it. Since a large amount of suspicious news and aggressive attacks are rising, an SSL certificate is necessary for safeguard the user data and business details. Moreover, while securing an SSL certificate make sure that you brought the required certificate. If you have more than one websites, Multi-domain SSL Certificate is best for you. It also called SAN certificates. This single SAN certificate allow you to secure up to 100 domains that saves money and time. In this age of digital media, the role of social media to gather people of all genre and kinds and interest is high. That is the very reason business enterprises are moving their marketing strategies and camping to facebook, twitter and other market worth platforms. As a gathering place of people of diversified interest customers also prefer to share their experience. So, being an active participant in fulfilling customer need at their comfort space is more important to empower our business. A responsive chat box and an informative social media page that allures customer will turn the visitors into customers by far. There will be several types of customers out there in the market. Some may be aware of all the facts about the products, and some may not be aware of anything. So if we can provide a responsive customer support environment, they will be more than happy to stick without products and recommend our service to others as well. A quick response website ranks as well as sits higher in the customer’s heart and also in search ranking also. Our website is our address that customers can find and do business. If they cannot find what they search for or if they are not finding it easy to navigate in it, they will leave. Our websites should we user-friendly. It should have all the possible amenities to ease out fulfilling the requirements of customers and appears elegant and arranged also. It is the way we let the world know about our product. Marketing involves much function in business. It is the voice of our business. Without an effective marketing strategy we cannot survive our business, and we cannot outlive the leaping market race.